Moonspell is a Portuguese gothic metal band. Moonspell was formed in 1989 as Morbid God. After renaming themselves Moonspell in 1992, they released their first EP Under the Moonspell in 1994, a year before of the release of their first album Wolfheart. The band quickly gained status and became one of the most recognizable metal bands from Portugal. Although they had been playing since 1989 under the name of "Morbid God", the band became Moonspell in 1992, the same year they released the promo track "Serpent Angel". Although they had been playing since 1989 under the name of "Morbid God", the band became Moonspell in 1992, the same year they released the promo track "Serpent Angel". In 1993, singer Fernando Ribeiro , drummer Mike Gaspar and bass player Ares (not to be confused with Aires Pereira) released the demo Anno Satanae, which caught the attention of French label Adipocere. It was for Adipocere that Moonspell released in 1994 a mini-album entitled Under the Moonspell. The record was a considered a landmark in Portuguese metal and sold more than 5000 copies, becoming Adipocere's best-selling record at the time. Shortly after the release, they played with Cradle of Filth in a concert in Lisbon. After the release of mini-album Under the Moonspell, Moonspell signed with Century Media for six CDs. Wolfheart was recorded in Germany with producer Waldemar Sorychta and was released in 1995 and was followed by a European tour. Although the album had little or no recognition at the beginning, it was later recognized as a "milestone" by heavy-metal reviews site Metal-Observer.com. During the tour, guitarist Mantus quit the band and was replaced by Ricardo Amorim. Irreligious came out in 1996 and was recorded again with producer Waldemar Sorychta. While previous album was considered black metal, this one fell into the genre of gothic metal. The song Opium became the first Moonspell single. It quoted one of Portuguese poet Fernando Pessoa's heteronyms, ?lvaro de Campos, on his poem "Opi?rio" and its music video, featured the character of poet writing in a bar with the band playing. Along with the release of the album in a convent, the Convento do Beato, there were factors that helped the band selling 10.000 copies of the album in their homeland. After conflicts with the band involving lawsuits, bass player Ares left the band and was replaced by S?rgio Crestana. Sin/Pecado (Pecado means 'sin' in Portuguese) was released in 1998. It had a bigger experimental nature than its predecessors. The song 2econd Skin was released as a single. At the time they released the one and only Daemonarch album, Hermeticum. Daemonarch was a side project composed by all Moonspell members but drummer Mike Gaspar. The album was seen as a return to their black metal roots and its lyrics were all written by singer Fernando Ribeiro between the age of 14 and 16. Sin/Pecado was followed in 1999 by The Butterfly Effect, recorded in London and produced by Andy Reilly. This album is considered to be very experimental in nature as well. Featuring "down-tuned guitar riffs, eerie synthesizer passages", the album was mainly composed by guitarist/keyboard player Pedro Paix&atilde;o and was not very well received by metal critics. Darkness and Hope was released in 2001 and was produced by Hiili Hiilesmaa, producer of Sentenced or HIM. The album reached 79th on German charts and special editions included covers of Madredeus, Ozzy Osbourne's Mr. Crowley and Joy Division's Love Will Tear Us Apart. Nocturna was released as a single and music video. In 2003, the band released The Antidote, with Niclas Etel?vuori from Amorphis playing as a session musician on the bass guitar. The album was released with a book with the same title written by Portuguese writer Jos? Lu?s Peixoto. Both the CD and book share the same concept and story and each song in the CD is sister to a chapter in the book that enhances the story in the lyrics. "Everything Invaded" was released as a single and music video. The band toured extensively around the world, playing at Rock in Rio Lisbon in 2004, a concert that brought them to more mainstream attention in Portugal. From this album on, the tours feature Aires Pereira on the bass. In early 2004 the band recorded a cover of the jazz standard "I'll see you in my dreams" for the soundtrack of a Portuguese horror movie of the same name. There is an official music video of this song featuring footage from the film itself. Memorial was released in 2006. Recorded with the producer of their first three albums Waldemar Sorychta, who also recorded the bass guitar parts, it was the first to be released under their new label SPV Steamhammer. The album topped the Portuguese album chart on its first week and also broke into the German Top 100 at number 68. Memorial achieved gold status in Portugal after selling 10,000 copies, making Moonspell the first Portuguese heavy metal band to achieve that. Although the album is heavier than the previous, it was very well received and its release was featured in various Portuguese news broadcasts. A new release of the album was released in December 2006 and featured a DVD with live performances and the music videos made for the album. Music videos for "Finisterra" and "Luna" were released. 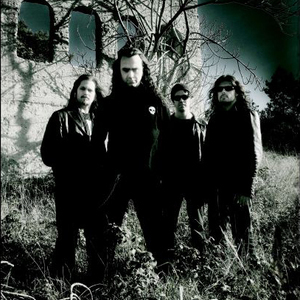 On November 2, 2006, Moonspell won an MTV Europe Music Award in the category of Best Portuguese Act. The Great Silver Eye, a best-of album, was released on June 26, 2007. Recently, Moonspell released Under Satan?, a re-recording of early songs. The last album has been called "Night Eternal". It was released on May 16, 2008. Moonspell is slated to tour Danzig's 2008 incarnation of his Blackest of the Black tour. After a lot of legal troubles, Moonspell released their first Dvd "Lusitanian Metal" on December 8, 2008 in 3 different versions. The most complete one is composed of 2 Dvds, a Cd and a small booklet with photographs and introduction to the footage written by some of the members of the band. The first Dvd contains a show they played in 2004 in Katowice, also recorded on the Cd, a collection of all their videos until "Everything Invaded" and an interwiew shot in a Graveyard. The second dvd presents some live footage took from different tours from 1992 to 2005.